If you are like us, we are DYING to get our dahlias in the ground in the spring! Unfortunately… dahlias are NOT FROST HARDY and cannot handle freezing temperatures. Around here in West Michigan, our “Average Last Spring Frost” is May 15, which means we really need to wait until mid May before we think about planting them outside. On our farm, our goal is to get them in before Memorial Day. So, what are you supposed to do when your tubers start arriving in the mail in mid April, but you can’t plant them out for another MONTH?!? 1. Leave them right in the bag they arrived in. Be sure to open up the bag to let them “breath” a bit and regulate humidity. Store the bags of tubers in a cool, dark, dry location, such as a basement or garage. Do NOT store them in a place that dips below freezing. 2. Pot them up! You can fill a small pot with potting soil and pop the tuber in there. 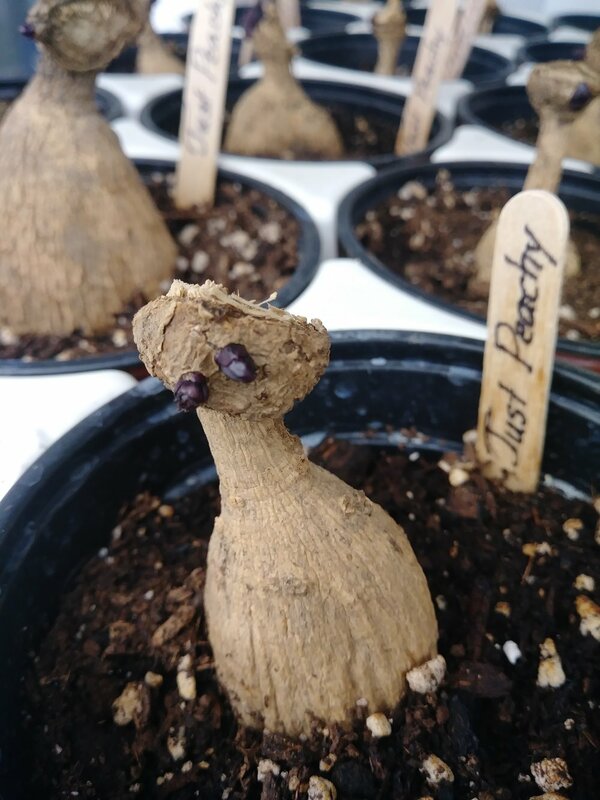 Be sure to “plant” it tail down, and head up (look for the “eye” or sprout on the head of the tuber). Water the pot sparingly (not too wet, not too dry) and place in a warm, sunny spot. The tuber will send up shoots and leave above the soil and roots into the soil. Watch the tutorial below to see how it’s done! 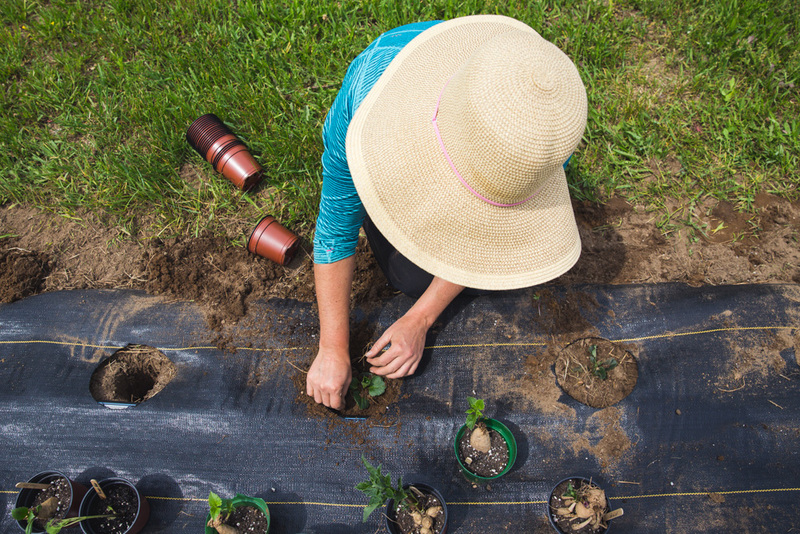 Once your soil is warm and dry, and the risk of frost is over, you can plant them out! If you’ve potted up the tuber, simply remove the entire contents of the pot (tuber with the potting soil) and place it in the ground (dig a hole slightly larger and wider than the pot), being sure to bury the crown of the tuber (where the shoot/leaves are coming out). Water slightly to help the plant get established, but don’t soak it. We don’t want the tuber to rot, which is why we want the soil to be warm and just moist, not soaking. If you’re planting an un-potted tuber, simply dig a 4-6” hole in the ground, drop the tuber in with the eye facing up and back-fill the hole. DO NOT WATER until you notice the shoots/leaves pushing through the surface of the soil. Avoid planting tubers right before a large storm. Keep an eye on the weather and try to plant during a dry stretch of weather.